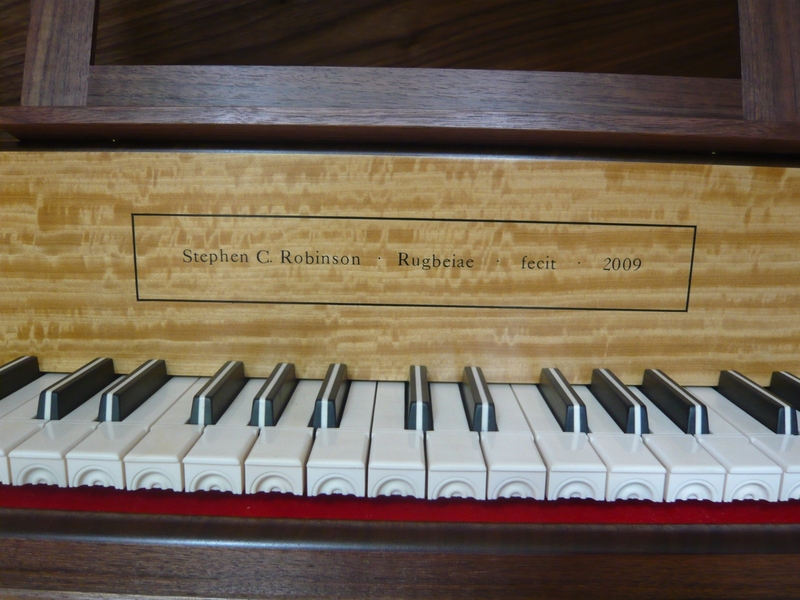 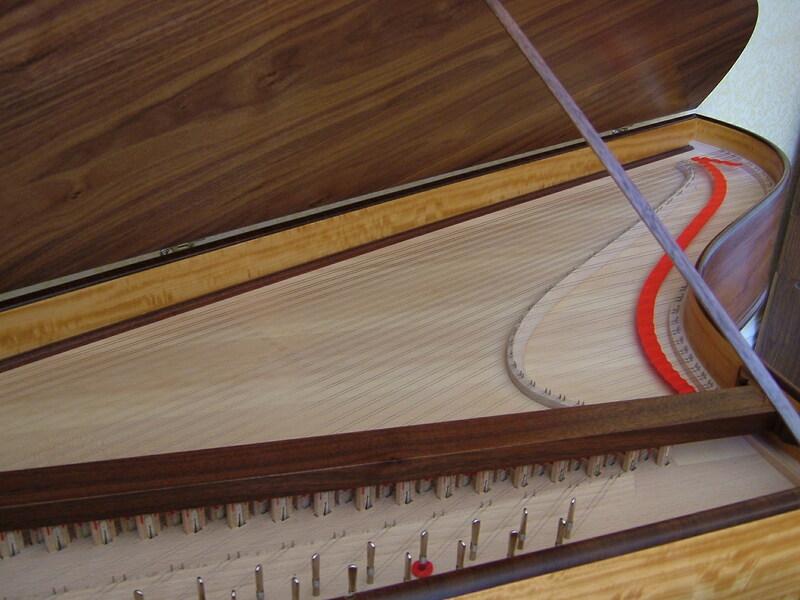 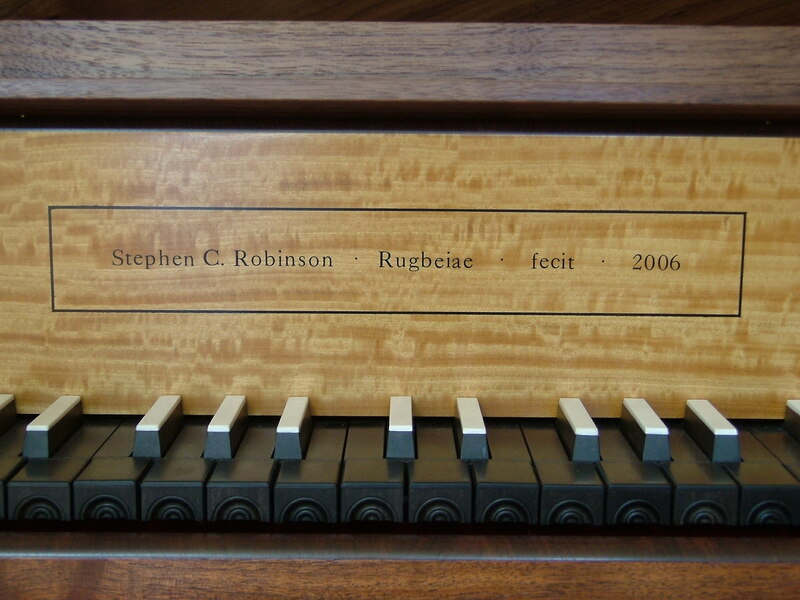 I now concentrate on making spinets and in particular, instruments based on Thomas Hitchcock's spinet in the Russell Collection, Edinburgh University. 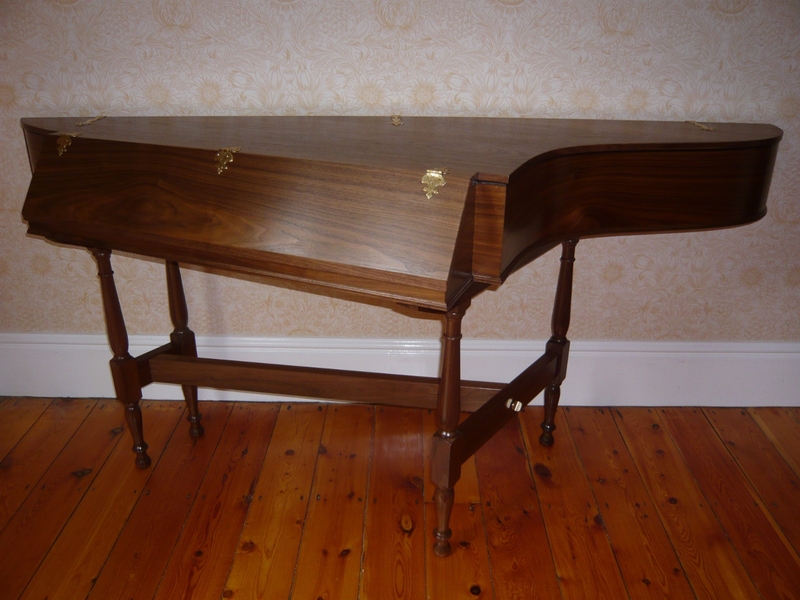 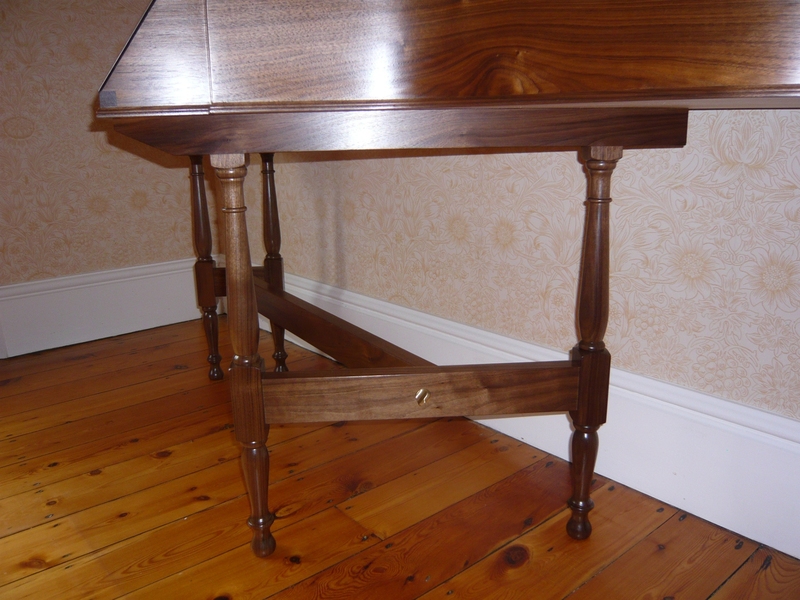 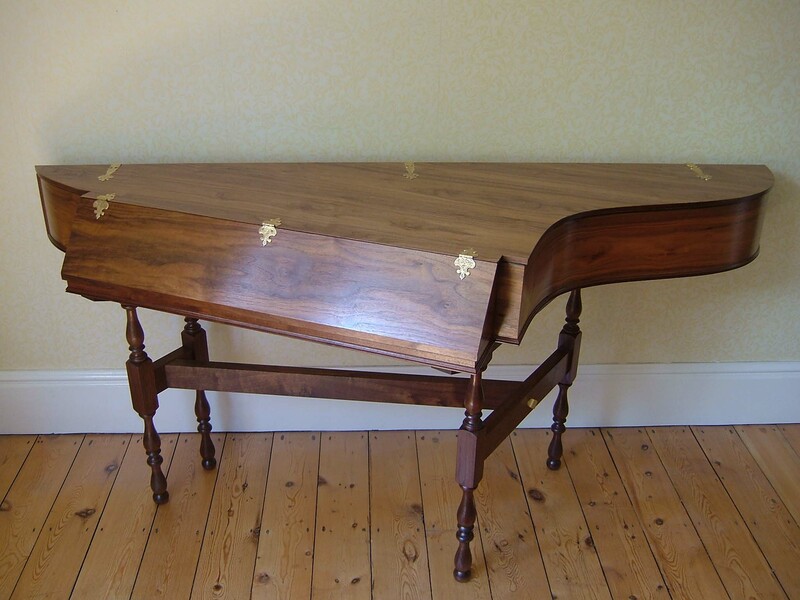 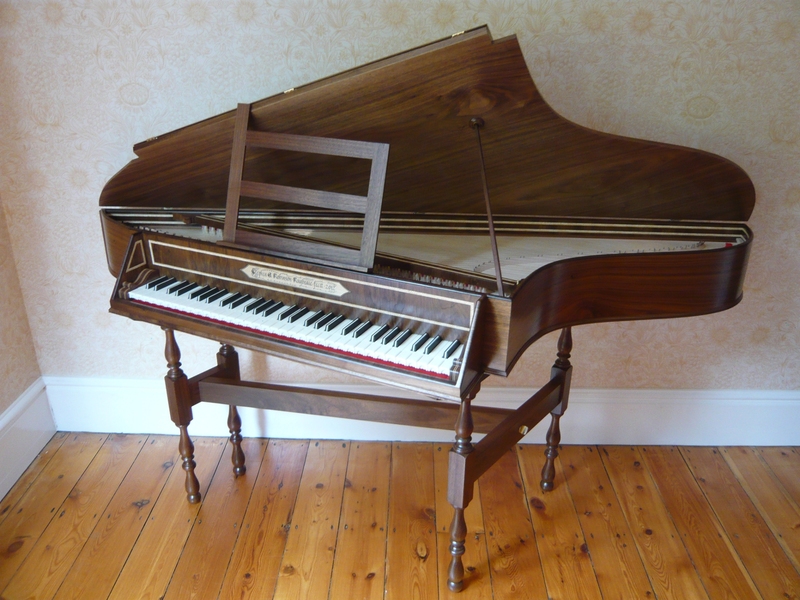 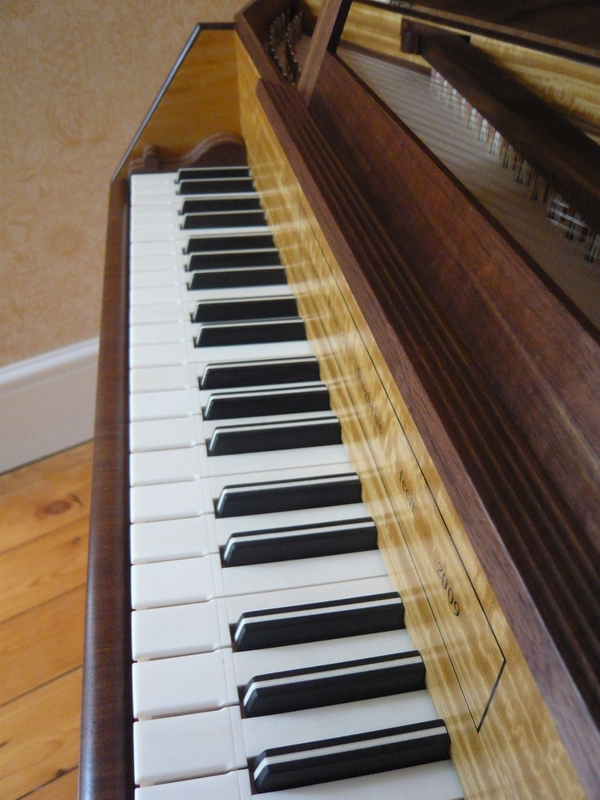 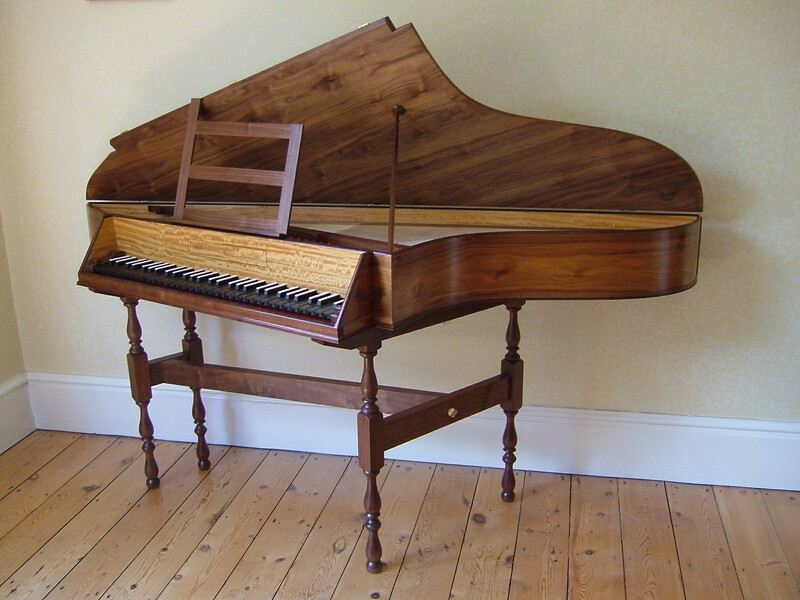 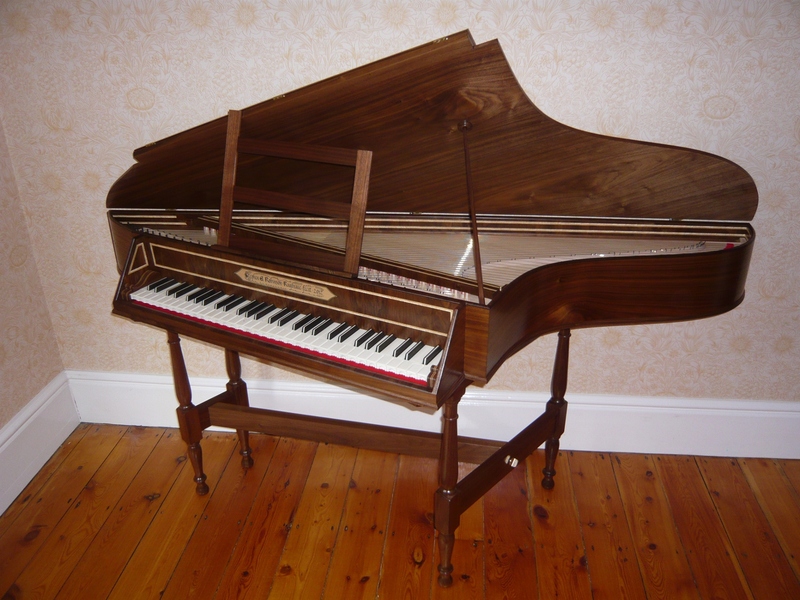 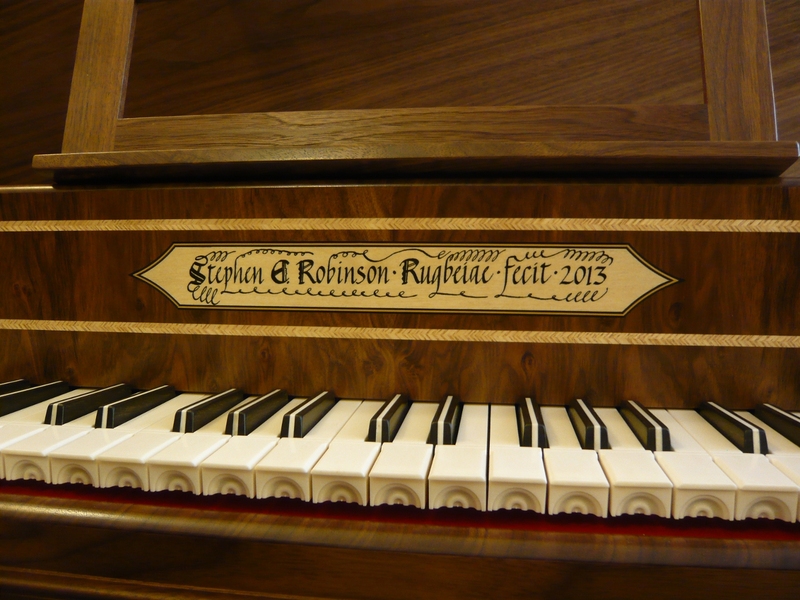 At the present moment I have a new spinet, identical to the one shown in the photo below, available for sale. 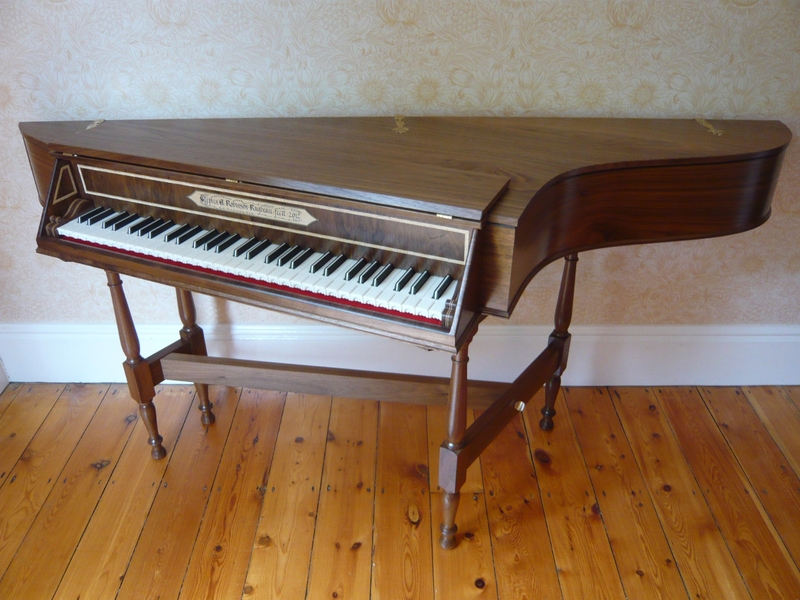 Price: £6,500. 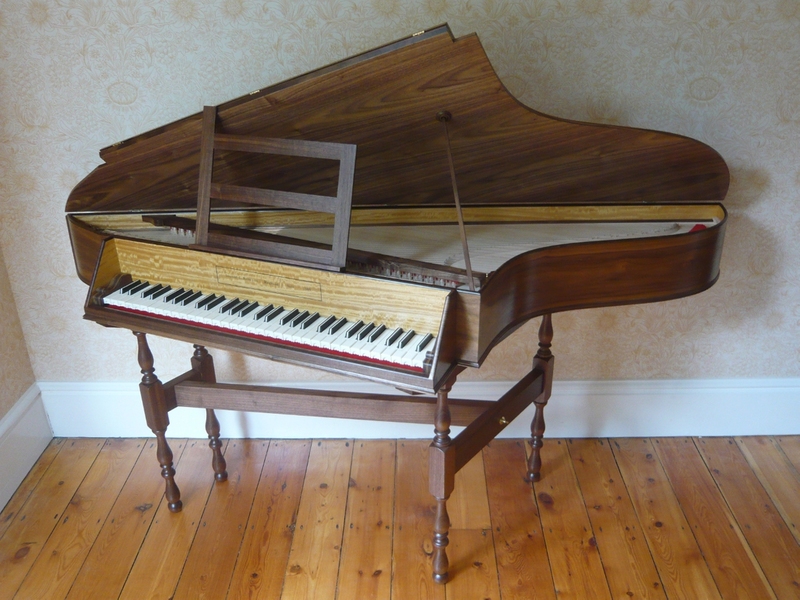 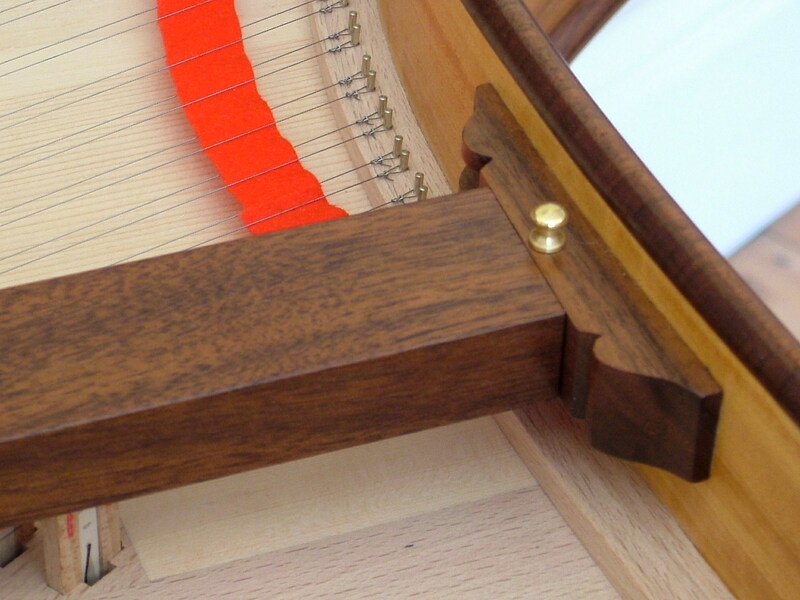 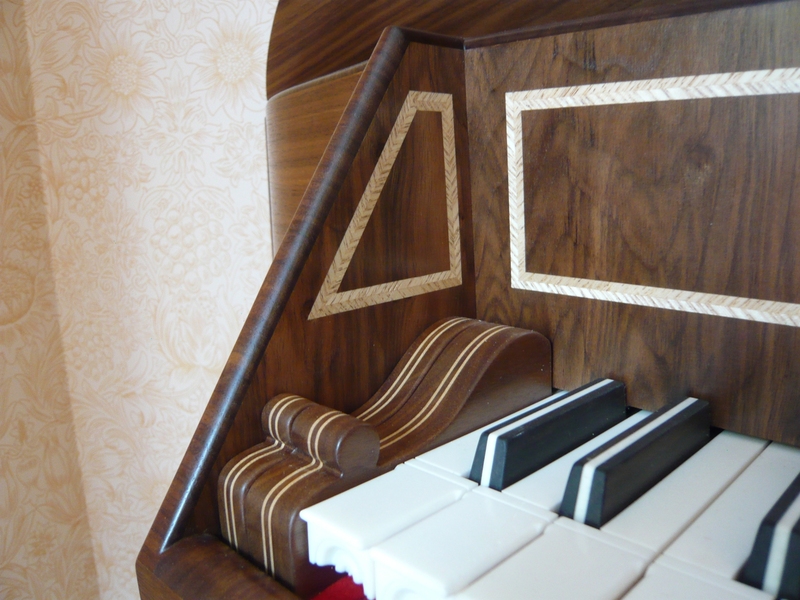 These are closely based on the Hitchcock spinet in the Russell Collection of Early Keyboard Instruments, Edinburgh University. 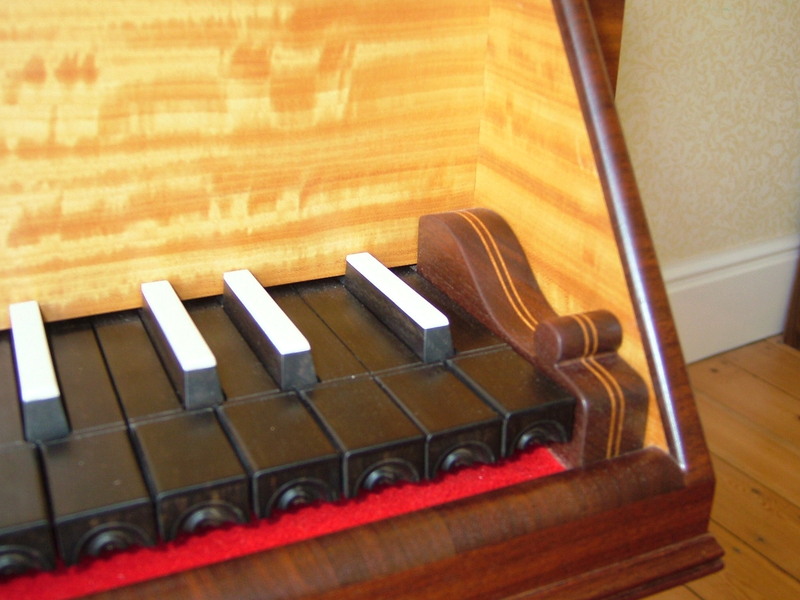 They are made along traditional lines but with the added benefit of being transposing (playing at A=440 and A=415). 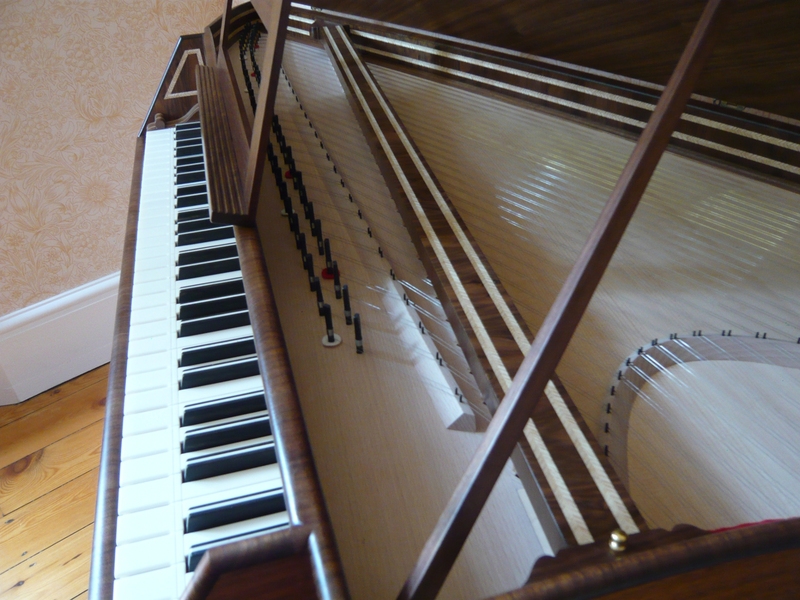 Five octave compass GG-g3; 61 notes. 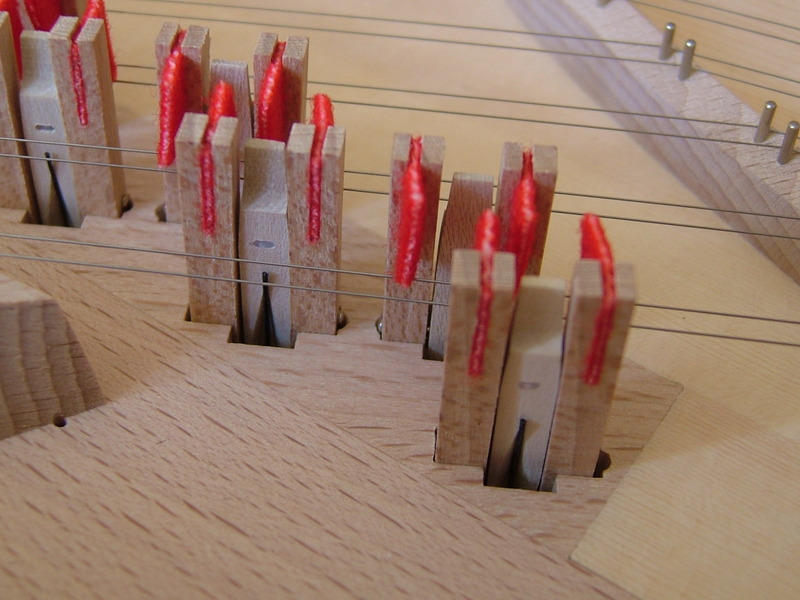 One set of strings, 8'. 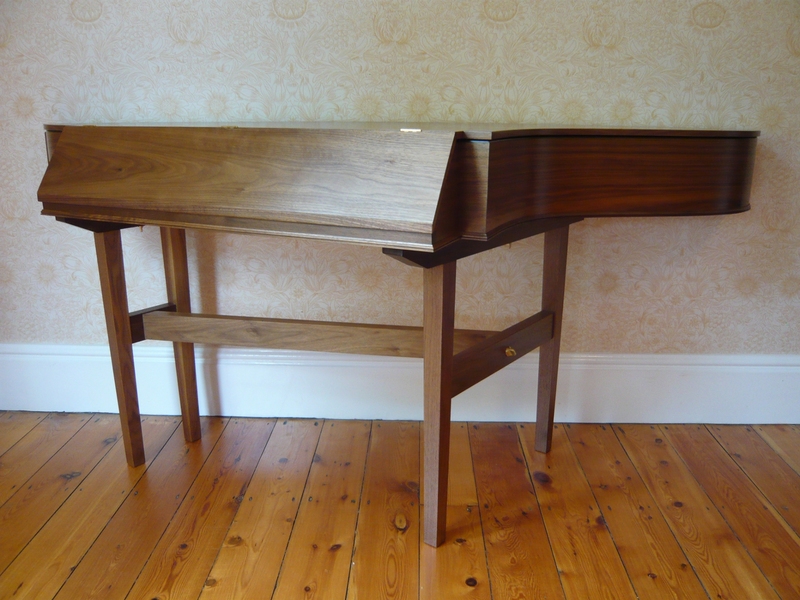 Case exterior veneered in walnut; interior veneered in figured walnut with ash herringbone inlay like the original. 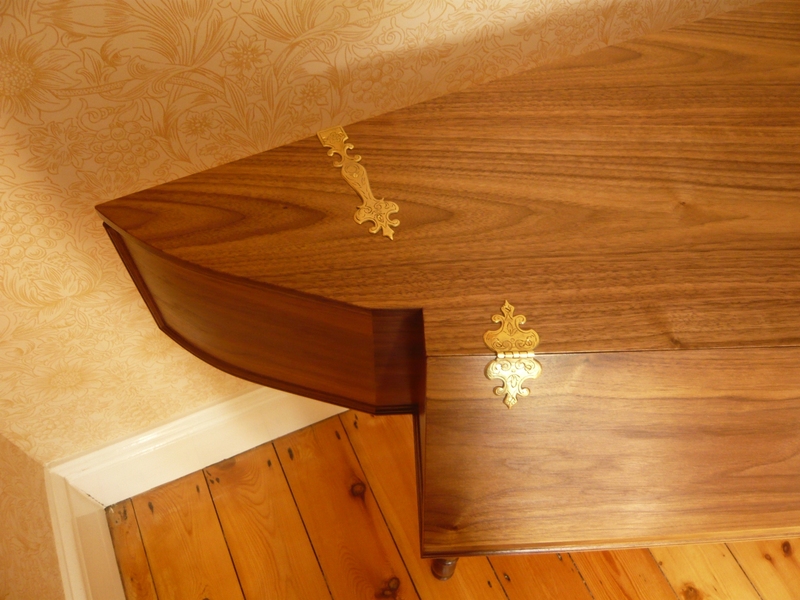 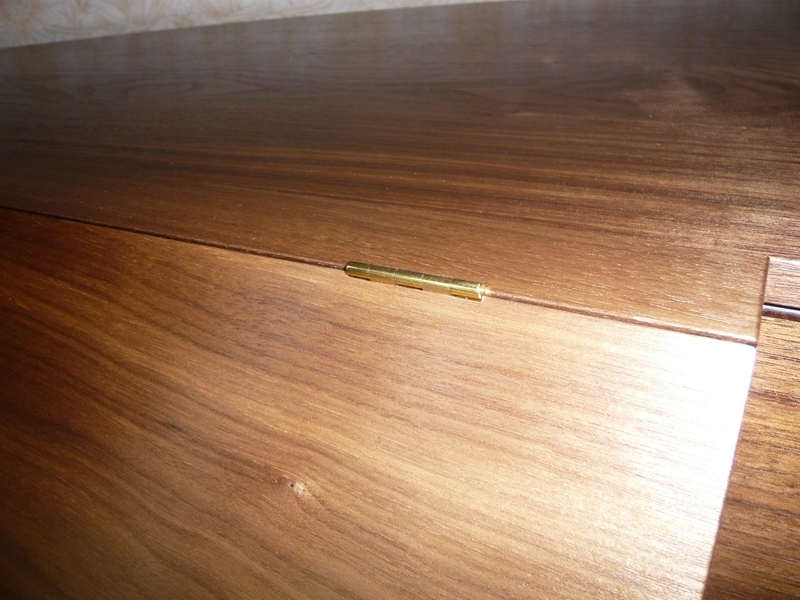 A satinwood-veneered interior can be supplied as an alternative. 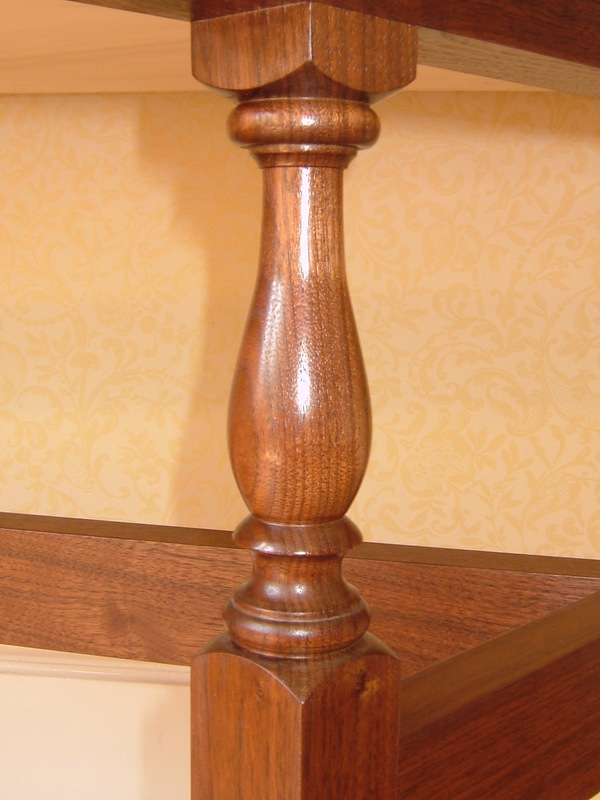 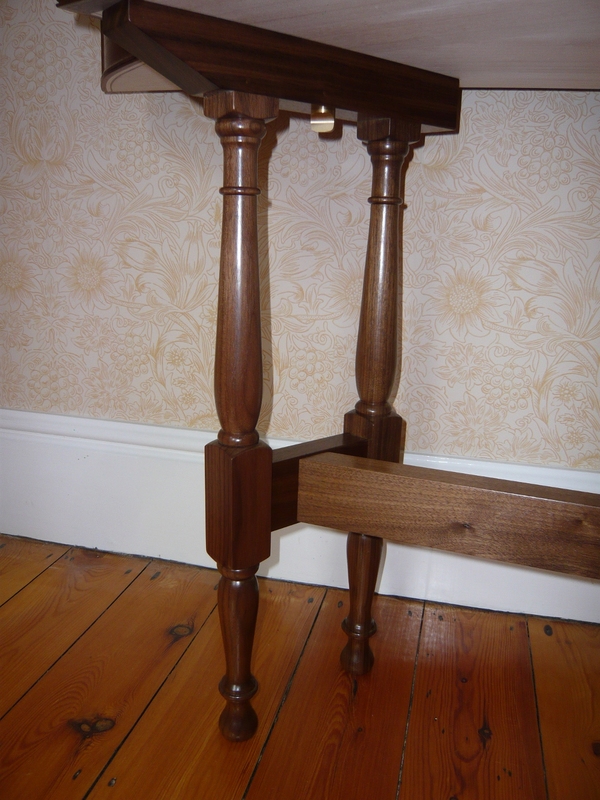 The walnut stand can be supplied in three versions: two turned designs based on original Hitchcock stands and a more modern-looking plain tapered leg. 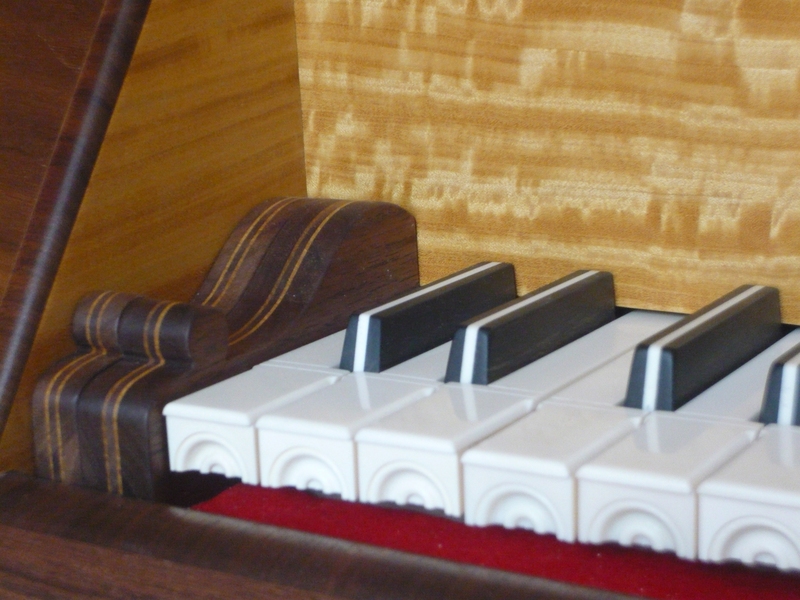 Standard keyboards now have bone naturals and 'skunk tail' sharps, though ebony naturals and bone tops to the sharps can be supplied as an alternative.